South Australia’s capital Adelaide is a wonderful starting point for long country drives that take you through a variety of landscapes ranging from seemingly endless wheat fields to rugged coastline and dense bushland. The city sits in the curve of the Mount Lofty Ranges. It has a fine Mediterranean climate with hot summers and cool wet winters. However, as you travel further west both the terrain and the climate change dramatically. 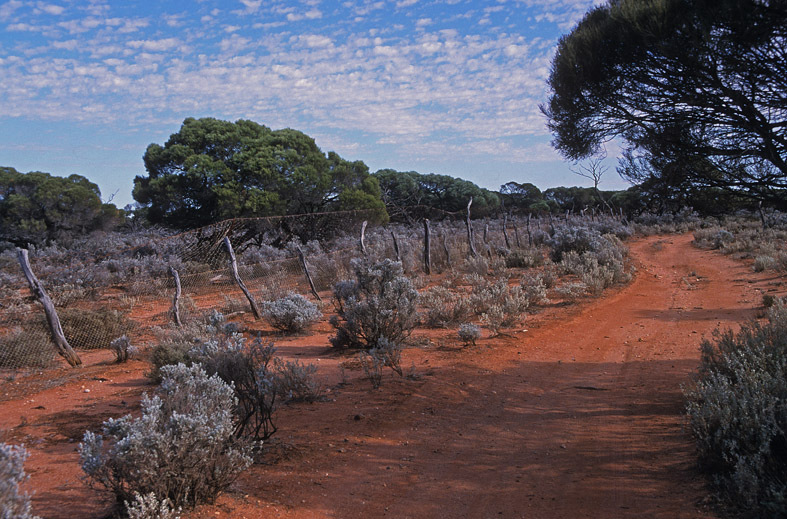 The grassy plains and forests give way to saltbush, desert and scrubland. Even the earth beneath your feet looks different, the browns and greys turn to a rusty red, a signature feature of this iron rich land. I have travelled west on many occasions to visit family on the Eyre Peninsula. 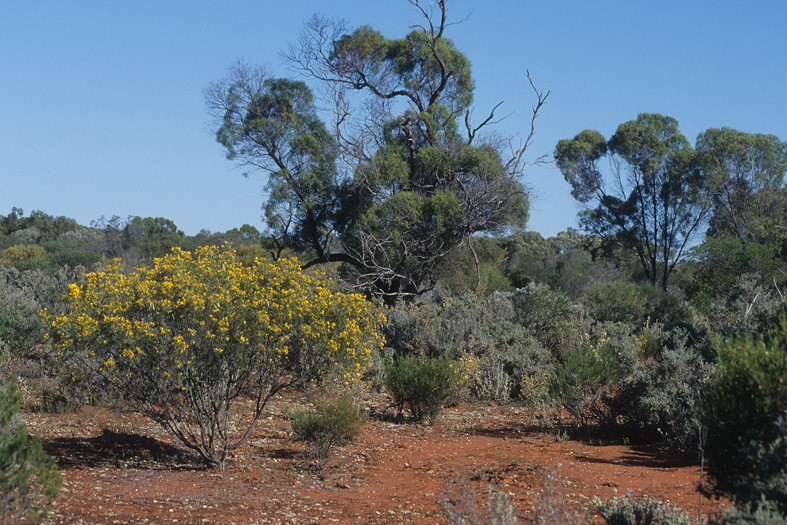 They live in Whyalla, the state’s largest city after Adelaide. Whyalla lies on the coast and is a steel making centre where the iron rich rock that paints the landscape its terra cotta shades is mined, processed and exported to all corners of the globe. The city is well positioned for exploring the rugged Eyre Peninsula and has good accommodation as well as excellent fishing and interesting mangrove stands along the shallow foreshore. However, it is the nearby rugged bush landscape and hardy desert creatures that carve out an existence from it, that never fail to inspire me when I visit. My last visit a little, at the end of this summer, was particularly rewarding. We had been without significant rain for well over a month which often brings the wildlife closer to the town where there is casual water and food, albeit not quite their natural diet, around parks and other public spaces. 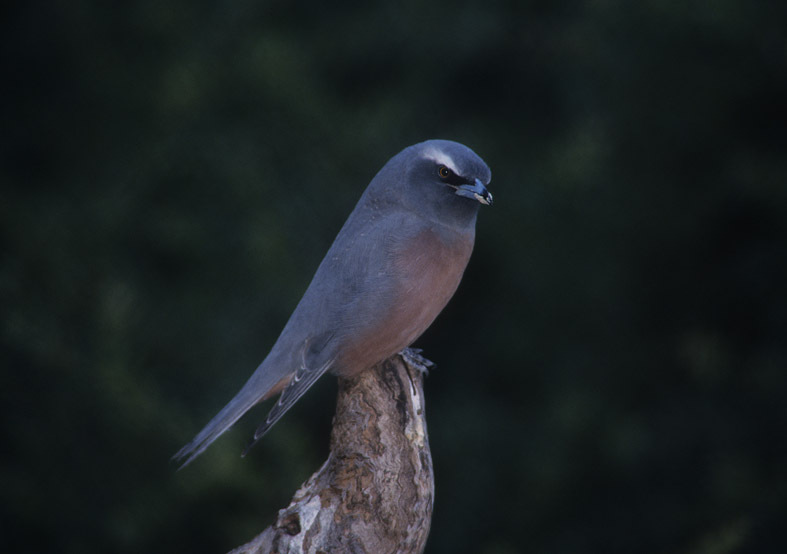 As many desert animals are crepuscular or nocturnal they tend to head back into the shelter of the surrounding bush during the day when the light is better for photography. This behaviour results in a narrow window of opportunity, during the early morning and late afternoon, for wildlife watching. 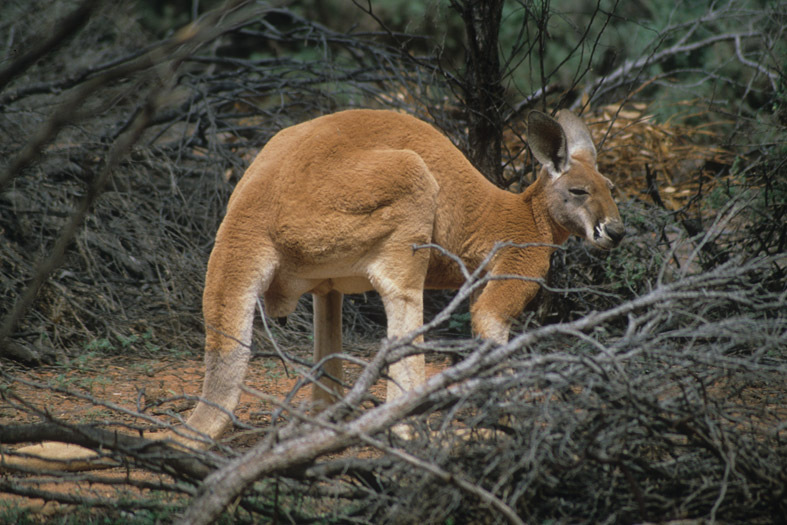 A morning drive along one of the narrow bush tracks, used by local farmers to repair fencing, brought me to a large clearing and a brief encounter with a huge male red kangaroo. He was alone and grazing on some low shrubs and grasses and moved slowly into the bush as I approached. Several of the smaller grey coloureds females bounded across the track as I moved further along the trail and I caught a passing glimpse of an emu way picking its way through some stands of Myall trees. For the next hour the wildlife viewing was much the same, a few roos in the distance and the occasional bird of prey and flights of parrots flushed out of the surrounding bush. Later in the evening I drove along a different trail and had to engage low ratio 4WD to scramble my SUV across some steep shale covered sections. But it was well worth it when I climbed out and walked slowly through a particularly promising section of scrub. Crouching low in the bushes I spotted a couple of white browed wood swallows, a species I had never photographed and certainly a beautiful little bird and one superbly adapted to this green grey outback country. Satisfied with my afternoon’s work, I checked the ground for ants, scorpions or other pain inducing critters, sat down under an old, weathered Myall tree and pulled out my drink bottle. Sitting quietly in the bush is a treat for a city guy and I was going to enjoy some time alone before driving back for dinner. However, it turned out that I was not alone in my choice of resting places. 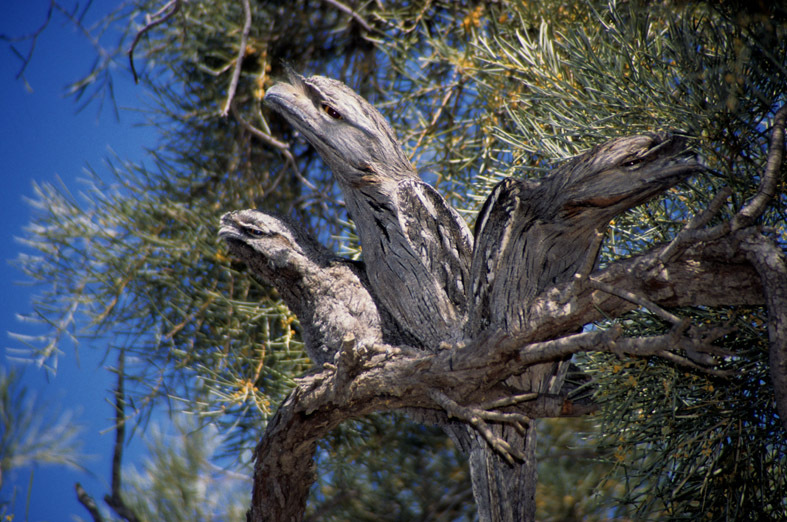 Perched on one of the branches, no more than three metres from away, was a family of tawny frogmouths; an insectivorous, nocturnal species unique to Australia that has an owl like appearance and the most amazing camouflage that I have ever seen. The birds were seeing out the daylight hours in the shade and paid me no heed as remaining still is a crucial part of their survival strategy. A final series of images to end an amazing morning in the bush.